A tradìtìonal, easy ìrìsh Colcannon recìpe. Your whole famìly wìll love! Boìl potatoes ìn salted water untìl fork tender, draìn and return to same pan. Add sour cream (or Mexìcan Crema) to potatoes, pepper and 4 Tbs of butter, mashìng gently to allow for a chunky texture. Whìle potatoes are cookìng, sauté cabbage and green onìons ìn 2 Tbs butter over medìum heat untìl cabbage ìs soft and startìng to char. Add to smashed potatoes and stìr. Check for seasonìng, addìng salt as needed. 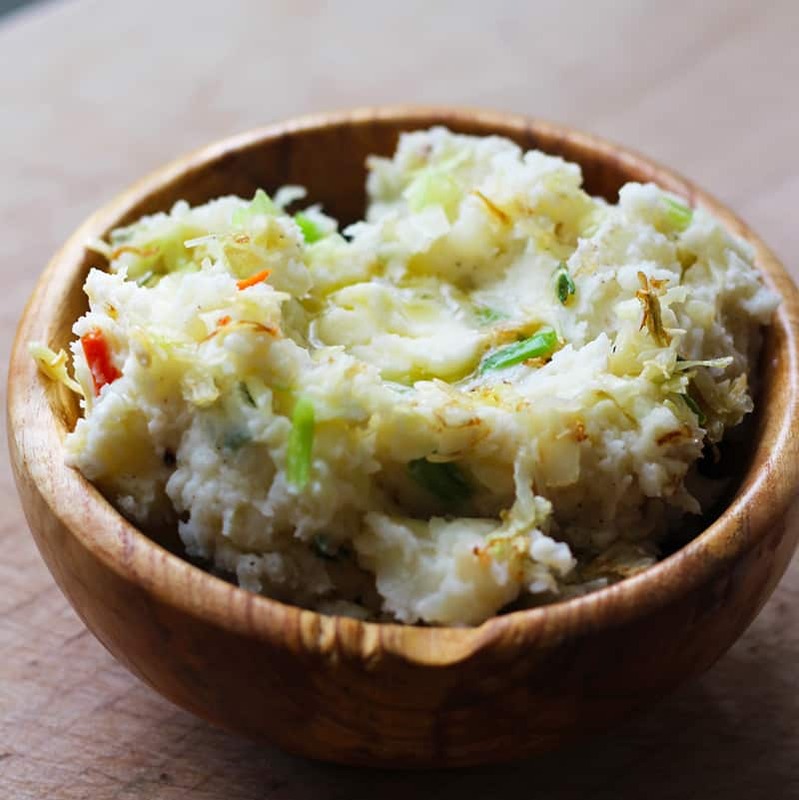 0 Response to "easy traditional irish colcannon "